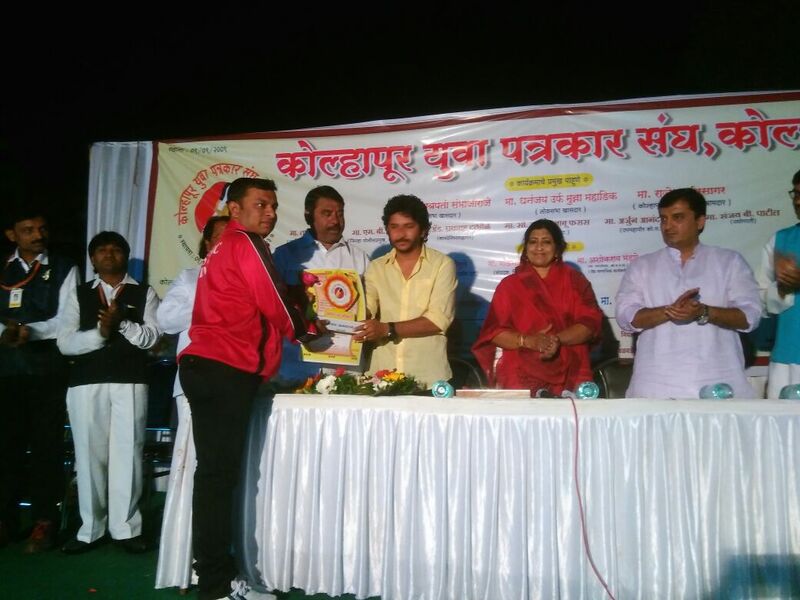 Mr. Amol Bhosale of JSTARC awarded the Khel Ratna Puraskar by the Kolhapur Yuva Patrakar Sangha. A ceremony celebrating the 7 th Foundation Day / Anniversary of the Kolhapur Yuva Patrakar Sangha was held recently in Kolhapur. It witnessed the participation of many eminent personalities of the city. The highlights of the event of the event were cultural programs & felicitation of various people who have excelled in their area of expertise. Mr. Amol Bhosale, a noted Taekwondoist was awarded the Khel Ratna Puraskar for his initiatives in promoting the Olympic sport- Taekwondo. 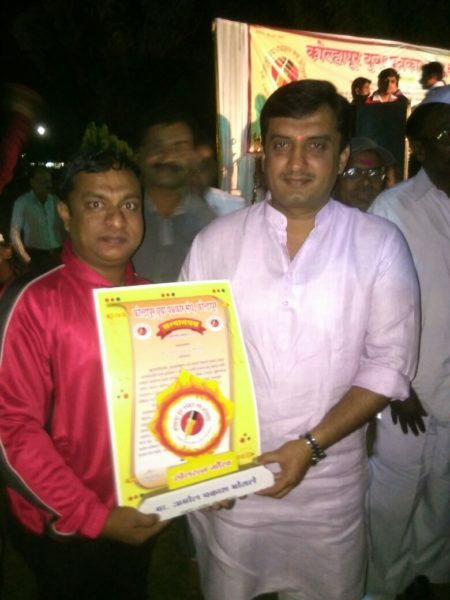 He received the awards at the hands of Mr. Dhananjay Mahadik (Member of Parliament). Mr. Bhosale is closely associated with Jalnawala’s Sports Training and Research Centre (Navi Mumbai).